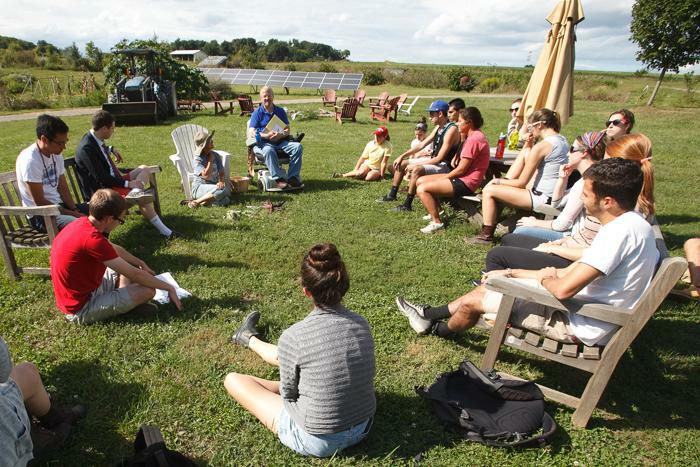 Dickinson has accepted an invitation to join the EcoLeague, a dedicated group of liberal-arts colleges focusing on environmental stewardship, social change and sustainability education. Dickinson is just the sixth institution to join the EcoLeague, marking the group's first partnership expansion in 11 years. The consortium includes Northland College, Wis.; College of the Atlantic, Maine; Green Mountain College, Vt.; Prescott College, Ariz.; and Alaska Pacific University. The EcoLeague provides students and faculty from the partner institutions with experience-based opportunities such as an exchange program that offers students the chance to study and conduct research in different ecosystems domestically and across the globe; a faculty scholar-in-residence program, guest lectures, curriculum development and co-taught courses. The EcoLeague roster gives students access to study three oceans and organic farms in five different growing regions. Study opportunities also can be found at Lake Superior, the Sonoran Desert, northern forests, glaciers and coastal islands. "Dickinson's philosophy is rooted in hands-on learning, so we are excited to provide our students with the access and opportunity to do research in the geographic and ecologically distinct areas represented by our EcoLeague partners," says Nancy A. Roseman, president and professor of biology. "Dickinson students are fully dedicated to the liberal arts. They utilize their education, access to amazing facilities and a dynamic faculty to help drive environmental change," says Northland College President Michael A. Miller. "Dickinson will provide great opportunities for all of our students and faculty." Just a few of the beneficial aspects Dickinson brings to its EcoLeague partners include the Center for Sustainability Education, Center for Global Study and Engagement, a USDA certified organic farm and the Alliance for Aquatic Resource Monitoring (ALLARM), which works with communities across the state on citizen-science initiatives. For more information, visit the Eco League website. "Dickinson Named a Top School for Sustainability"
"Dickinson Is One Cool School"